Sir Henry Bessemer was a prominent British engineer, inventor and entrepreneur. He developed the first cost-efficient process for the manufacture of steel in 1856, which later led to the invention of the Bessemer converter. 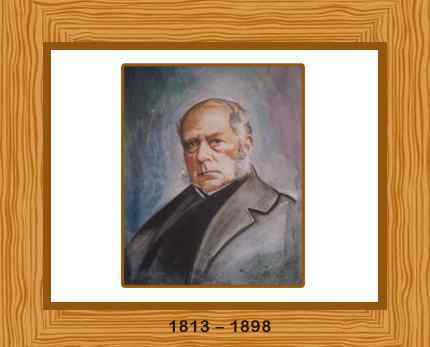 Born in Charlton, Hertfordshire on January 19, 1813, Henry Bessemer’s father, Anthony Bessemer, was an engineer and inventor, who was also appointed a member of the French Academy of Science, for making amendments to the optical microscope. Bessemer was mostly self-taught and exhibited extraordinary inventive skills since childhood. He learnt metallurgy at his father’s type foundry, helping in the production of gold chains. Henry Bessemer’s early invention of a group of six steam-powered machines for manufacturing bronze powder gained him wealth and fame. He also made other inventions in his early days, including an advanced sugarcane-crushing machine. Bessemer is best known for devising a steel production process that inspired the Industrial Revolution. It was the first cost-efficient industrial process for large scale production of steel from molten pig iron by taking out impurities from pig iron using an air blast. Bessemer’s process still continues to inspire the production of modern steel. The Royal Society of London elected Bessemer into fellowship in 1877. Two years later, in 1879, he was knighted. Throughout his career, he registered more than 110 patents. Henry Bessemer continued his research and made several inventions in the later years of his life. He died on March 15, 1898 in London. Bessemer was 85 years old.